energia solar termica Archives - Sopelia is the solar platform in Latin America. The correct design of a solar thermal system involves foreseeing all the circumstances that may damage it and applying strategies that can prevent breakdowns that shorten its useful life. Protection method will depend on the heat transfer fluid used and specific weather conditions of system site. It is not enough to protect only the collectors. Outer pipes must also be protected. 1. Antifreeze mixtures: it is the most used solution to system protection from freezing danger. 2. Water circuits recirculation: this system is suitable for climatic zones in which periods of low temperature are of short duration. 3. Automatic drainage with fluid recovery: this system requires the use of a heat exchanger between collectors and accumulator to maintain hot water supply pressure in it. This solution is not recommended in case collector absorber is made of aluminum. 4. Outdoor drainage (only for prefabricated solar systems): this system is not allowed in custom solar systems. 5. Total system shutdown during winter: this solution is advisable for systems that are only used in summer and it should be taken into account that empty circuits are subject to greater corrosion risks. 6. Collectors heating by an electrical resistance. 7. Collectors capable of withstanding freezing: there are collectors on the market that have sufficient elasticity to withstand volume increase due to freezing. 8. Introduction in absorber circuit of elastic and watertight capsules containing air or nitrogen. By increasing pressure due to freezing, they are compressed avoiding failure due to breakage. An excess of heat in solar thermal systems occurs when there is too much solar uptake in relation to energy obtained consumption. When this happens, collectors retain the heat that has not been evacuated and raise its temperature to levels that can be dangerous for system. It is estimated that a heat transfer fluid e temperature xceeding 90 ºC becomes dangerous for the system. Problem arises when, for reasons already mentioned, temperature rises too high in collectors and the heat transfer fluid circulating inside primary circuit begins to boil, expand and emit steam. Both dilation and vaporization raise the pressure inside the primary circuit. On the other hand, when heat transfer fluid begins to boil in the primary circuit, scale builds up on surfaces of the various components that deteriorate equipment. 1. Closed circuit with outdoor expansion vessel: steam produced goes outside. This can cause scale and risk of emptying part of circuit, forcing it to be filled before it is put into service. 2. Open circuit (consumption water passes through collectors): if boiling pressure exceeds network pressure, the produced steam will discharge into network contaminating the water. 3. Closed circuit and closed expansion vessel: when temperature rises, pressure rises and safety valve will open when it reaches a certain predetermined value. Overheating risk in storage is lower and it can be said that it could only occur if system has high performance collectors (eg, vacuum tube collectors) and lacks a dissipation mechanism. 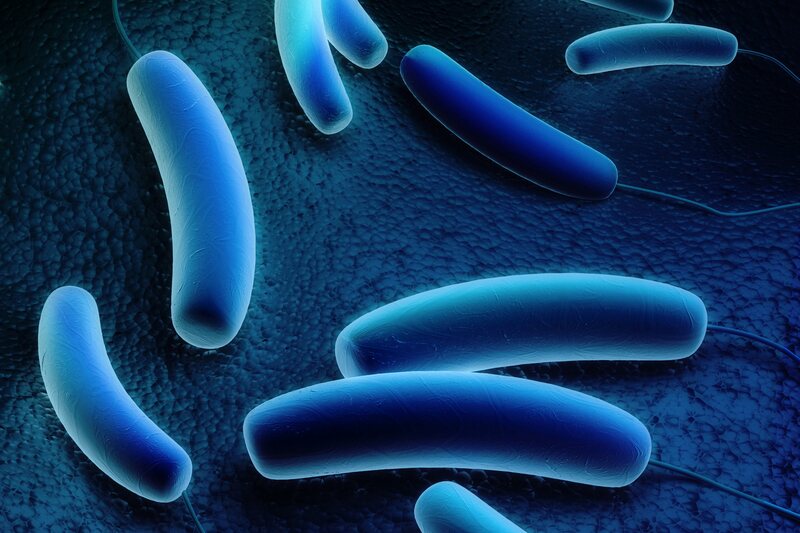 When water is hard (content of calcium salts between 100 and 200 mg / l), necessary precautions shall be taken so that working temperature of any point of consumption circuit does not exceed 60 ° C, without prejudice to necessary requirements against legionella application. In any case, necessary means will be available to facilitate circuits cleaning. • Use an organic fluid with a high boiling point. • Angle of inclination of collectors higher than optimal to capture solar radiation preferably in winter. This ensures that the most perpendicular rays of summer fall with greater inclination on collector and take less advantage. • Excess heat poured into the pool. • Eaves. Through arrangement of strategically placed eaves it is possible to reduce the solar radiation that solar collectors support in summer. • Cover collectors with covers. • Heat sinks. These devices circulate superheated liquid through ducts to dissipate its heat in the air. Some direct all the superheated flow of primary circuit to a unit where heat is dissipated with the help of fans (air heaters). Others, however, are structures that are placed in each collector or battery of collectors and that dissipate only heat generated by the unit they are on. This type of heatsink works by gravity, without electronic components and is activated by means of thermostatic valves. It has the advantage that it continues to work in the event of a power cut. In case of closed systems, maximum working pressure of all components shall be taken into account. The component that has the lowest maximum working pressure is the one that will set the pattern for entire system. In case of open consumption systems with network connection, maximum pressure of the same shall be taken into account to verify that all components of the consumption circuit support said pressure. System installation must ensure that no relevant energy losses due to unintentional inverse flows occur in any hydraulic circuit of the system. The natural circulation that produces the reverse flow can be favored when the accumulator is below the collector, so it will be necessary to take, in those cases, the appropriate precautions to avoid it. 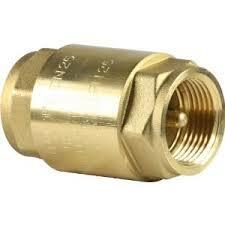 In systems with forced circulation, it is advisable to use a non-return valve to avoid reverse flows. It must be ensured that water temperature in hot water distribution circuit is not lower than 50 ° C at the furthest point and before the necessary mixture for protection against burns or in the return pipe to accumulator. System will allow water to reach a temperature of 70 ° C. Consequently, the presence of galvanized steel components is not admitted. This content was extracted from the Solar Thermal Energy Technical-Commercial Manual and is part of Solar e-learning. Heat transfer fluid passes through absorber and transfers energy to thermal utilization system (accumulator or exchanger). * Natural water: can be used in open circuit, when sanitary water passes directly through collectors, or in closed circuit (independent consumption circuit). In first case, circuit can only be constituted by materials allowed for drinking water supply. In some countries this system is not allowed. It will be necessary to consider water characteristics, especially its hardness (calcium and magnesium amount), which when heated produces a hard crust or tartar. This crust accelerates corrosion, restricts flow and reduces heat transfer. The values start to be problematic from 60 mg / l. Very soft waters can also cause problems due to their corrosivity. * Water with antifreeze: to avoid drawbacks of freezing and boiling of heat transfer fluid, use of antifreezes called “glycols” is the most widespread. Mixed with water in certain proportions prevent freezing to a limit of temperatures below 0 ° C depending on their concentration. On the other hand the boiling point rises making heat transfer is protected against too high temperatures. Choice of concentration will depend on historical temperatures of the area where installation is located and on characteristics provided by manufacturer. Most commonly used glycols are ethylene glycol and propylene glicol. • They are toxic: their mixing with drinking water must be prevented by making secondary circuit pressure greater than that of primary, for prevention exchanger possible breakage. • They are very viscous: factor to take into account when choosing electric pump that is usually more powerful. 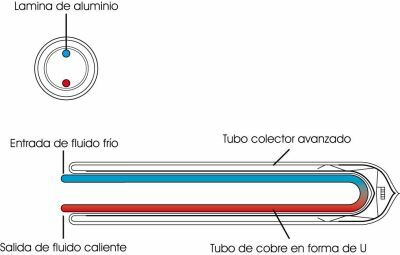 • Dilates more than water when heated: as a safety standard, when we use antifreeze in proportions of up to 30%, when sizing the expansion vessel, we will apply a coefficient of 1.1 and 1.2 if proportion is greater. • It is unstable at more than 120ºC: it loses its properties so it stops avoiding freezing. There are some that withstand higher temperatures, but they are expensive. • The boiling temperature is higher than that of water alone, but not too much. • Specific heat is lower than that of water alone, so it must be taken into account in the flow calculation, conditioning pipe and pump dimensioning. To calculate antifreeze amount that must be added to an installation, you must first consult the table of historical temperatures which is the minimum temperature recorded in that city or location. Once it is known, goes to glycols graph supplied by manufacturer and value is transferred to indicate what percentage is. * Organics fluids: there are two types, synthetic and petroleum derivatives. Precautions mentioned in case of antifreeze regarding toxicity, viscosity and dilation are applicable to organic fluids. Additional risk of fire should be mentioned, but also that they are chemically stable at elevated temperatures. * Silicone oils: they are stable and of good quality products. They have the advantages that they are not toxic and that they are not flammable, but current high prices mean they are not widely used. – That it’s enough safe . – That its cost be as low as possible. – Speed and simplicity in assembly. A method currently used is anchoring by chemical plug. There are structures are of different materials. The most commonly used are aluminum and stainless steel. Manufacturers usually sell the collector with its structure, although you can always design your own structure. It is not advisable to transfer building cover with the anchor (it can cause leaks). In case of large installations, a pre-assembly work can be carried out to make assembly on roof faster and cheaper. In near coast areas, structure must be hot dip galvanized. Screws should be made of stainless steel or corrosion resistant material. f = Weight to counteract wind strength. P = wind load (Kg / m2). S = collector surface (m2). sin2α = angle of inclination sine. Wind force is decomposed into f1, which incites perpendicularly to collector surface and in f2, which does it in parallel. f1 force is at the end what counts and what is obtained from previous formula. 2) Collectors orientation and inclination. Collectors are oriented towards Ecuador. Normally, if we are in Southern hemisphere, they are oriented towards North and vice versa. Deviations of up to 20% with respect to optimal orientation do not significantly affect system performance and thermal energy contributed. • All year use (H.W.S. ): inclination angle equal to geographical latitude. • Winter preferably use (heating): inclination angle equal to geographical latitude + 10º. • Summer period preferred use (outdoor pools heating): inclination angle equal to geographical latitude – 10º. Variations of ± 10º with respect to optimum inclination angle practically do not affect performance and useful thermal energy provided by solar equipment. 3) Collecting surface must be free of shadows. In the most unfavorable day of use period, installation must not have more than 5% of useful surface area covered by shadows. Projected shadows practice determination is made observing environment from collector´s lower edge midpoint, taking the North-South line as a reference. By making an angular sweep on both sides, we will try to locate nearby obstacles with an angular height greater than 15º / 25º. A more accurate determination of possible shadows can be made using system sizing software based on simulation methods. 4) Minimum distance between collectors. Separation between collectors rows must be established so that at solar noon of most unfavorable day (minimum solar height) of use period, the shadow of upper edge of a row will be projected, at most, on lower edge of following row. α is still collector inclination angle respect to horizontal. β is roof inclination angle respect to horizontal. It is positive if cover inclination angle direction coincides with that of collector; and with a negative value otherwise. 5) Finally, calculations must be carried out to ensure that cover or support will be able to support collectors weight, and that of the tank in case of thermosiphon and compact systems. The R + D + I area of Sopelia has developed Solar Layout, the mobile app that allows collectors and modules to be optimally located at installation site. On Internet we can find free tools for basic or low complexity solar systems dimensioning and for certain components or accessories estimation. Sopelia research team has carried out an exhaustive search and testing from which a new corporate website section called Free Solar Tools has been created. Selected tools were classified into 4 categories. 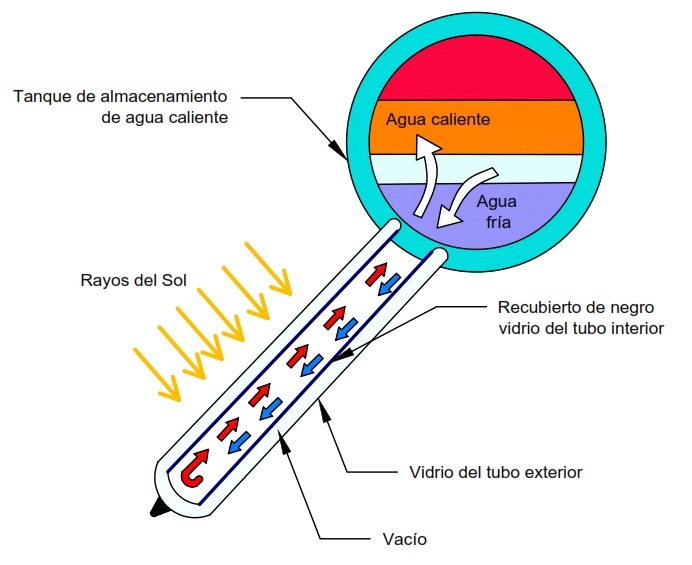 Today we will analyze the third of them: Solar Thermal. In first category we have already analyzed tools to obtain data about solar resource and other variables to be considered in energy estimation solar system will provide in our location. In the second category we have analyzed tools to calculate the “load”, ie the energy demand to be met. Now we are going to analyze tools to solar thermal system dimensioning and others to estimate individual components of a system. The order of the tools is not random. We have prioritized the most intuitive, the most universal and those that can be used online without download. Approximate calculation tool from which budget, production data and system performance study is automatically obtained. A Navigation Guide and Manuals can be found at page bottom. Online application based on the TSOL software that allows solar energy system simulating to ACS and ACS + heating contribute. Available in German, English, Spanish and French. Free download program developed by IDAE (Institute for Energy Diversification and Saving) and ASIT (Solar Thermal Industry Association) that allows to define a wide variety of solar systems introducing a minimum of project parameters, associated to each system configuration; and in this way, obtain solar system coverage on ACS and pool conditioning energy demand. Tool developed to calculate solar expansion vessel volume. 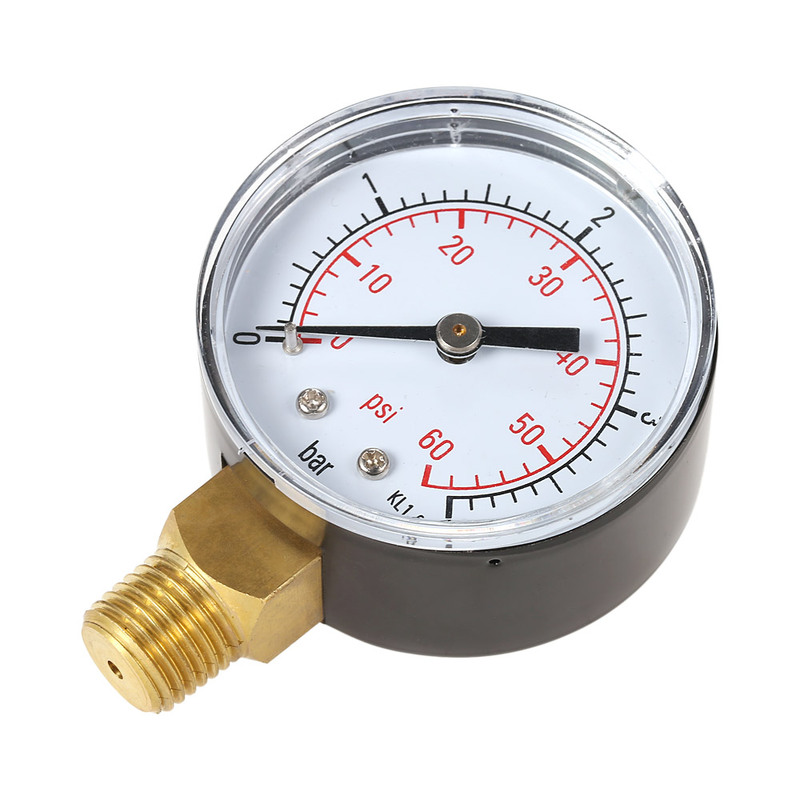 Volume values (total circuit, solar collectors, pipes), Maximum system temperature (ºC), Glycol concentration (%), Height between expansion vessel and system highest point (minimum value 1 Bar) and safety valve Pressure setting must be introduced. Calculator that allows to estimate minimum and more economical water pipes insulation thickness. Pipe Grade and Size, Insulation Material, Humidity and Temperature (Internal and Ambient) must be entered. We have already talked about flat solar collectors and vacuum tube collectors. Air collectors are also found in collectors without concentration category. They are flat and their main characteristic is to have air as heat transfer fluid. They do not have a maximum limit temperature (convective processes have less influence on the air) and work better in normal circulation conditions, but in contrast they have a low heat capacity and heat transfer process between plate and fluid is not good. Its main application is heating. Externally it is not possible to distinguish an air collector from a water collector. It is in the absorber where greatest differences are found. It has a rough shape and lacks the classic pipe of water collector ducts. 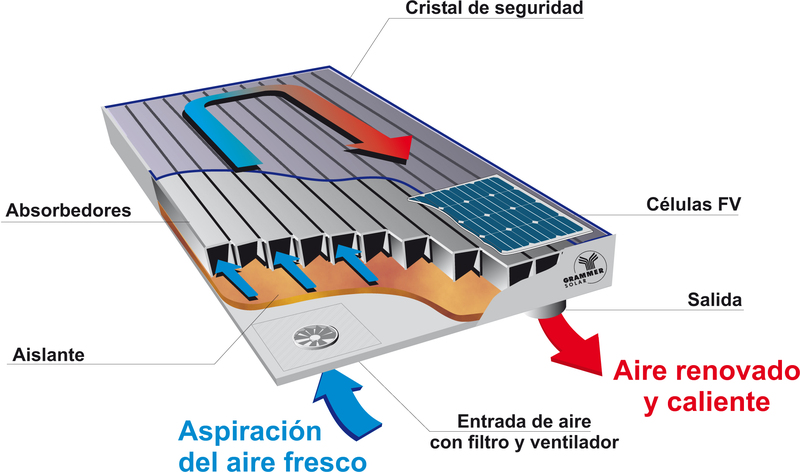 The air circulates freely on absorber surface collecting the heat that it transforms. Being a technology that has not been widely disseminated until now, there is no standardized solar collector model and each manufacturer makes its own model. There are also conical or spherical thermal solar collectors. Their main characteristic is that they simultaneously constitute collection and storage unit. Its catchment surface is conical or spherical with a same geometry glass cover. With this form it is achieved that illuminated surface throughout the day, in shade absence, is constant. Their installation is simple, but they present water stratification problems and useful catchment surface is small. Its main application is sanitary hot water in single-family homes production and in very benign climates, since large storage surface, weather exposed, causes great energy losses. Finally, in collectors without concentration category, we find outdoor swimming pools solar collectors. They are made of rubber, polypropylene or polyethylene; and incorporate in their manufacturing process substances that protect them from plastics natural tendency to degrade under ultraviolet rays action. They also carry other additives to protect them from chemical agents used in pool water purification. They have an acceptable night frosts resistance. They are used mainly to heat pools water and thus be able to prolong its use for several more months. These collectors do not have cover, neither with housing nor with insulating material. They are constituted by naked plate collector. This is because working temperature will not exceed 30ºC in any case and at this low temperature, radiation and conduction losses are very small, making it possible to dispense with covers and insulation. It is not necessary to use any type of heat exchanger or accumulator, because pool water flows directly through collectors. They need a frame because they are usually not rigid, but they can also be placed directly on a roof, or even on the ground. By being flexible, absorb surface irregularities on which they rest. These equipment enjoy an approximate 10 years lifespan. They need little maintenance and there is little risk of corrosion, as they are synthetic. The second major group is that of solar collectors with concentration. Its most common use is not at domestic level but in thermoelectric plants and facilities that work at medium and high temperature. These collectors concentrate the solar radiation received in a very small surface receiving element (a point, a line). Being smallest receiver and concentrated radiation, it allows a better solar energy absorption. They are capable of providing temperatures above 300 ° C with good yields. Concentration collector plants generate high temperature steam for industrial processes and to produce electricity. There are concentration collectors of various types (tower, cylindrical-parabolic, Stirling engine). Nevertheless, all of them have in common that they demand to be equipped, to be efficient, with a tracking system that allows them to remain constantly located in best position to receive the Sun’s rays throughout the day. One of the drawbacks of most concentration collectors (and especially the cylindrical-parabolic) is that they only take advantage of Sun direct radiation, that is, they only take advantage of solar rays that actually hit their surface. They are not able, on contrary, to capture diffuse solar radiation. Therefore, they are not convenient in climatic zones that, although they receive an acceptable solar radiation amount, are relatively cloudy. They are only effective in authentically sunny áreas. Honduras is one of the 148 countries in the world with best solar energy generation potential; however, solar thermal energy barely wakes up from several decades of stagnation and at present, its participation is not relevant in the national energy matrix. Solar thermal energy has a unique competitive potential in the “Sunbelt” countries, characterized by high levels of solar radiation and, often, high prices in energy tariffs. In Honduras, Choluteca and Valle are the areas with greatest solar energy generation potential, since a maximum annual average of 8.4 hours per day is registered. February, March and April are the months of greatest solar energy availability in the country, in February there is up to 9.1 sunshine hours on average per year for country southern area. Other places with high solar potential are in part of Lempira department and Francisco Morazán southern area. As it happens in almost all Latin American countries, there is no solar thermal energy development according to its enormous potential. Its performance is twice that of photovoltaic solar energy and is the purest expression of distributed generation. In Honduras, its implantation in residential sector is scarce and there are only isolated cases in commercial and industrial sectors. An example is the meat plant where a solar thermal system was installed to heat sanitizing water in production area, trays and tables cleaning, pigs blanching, slaughter tools sterilization, sausages cooking and smoking. Water volume consumed was classified into two types: sanitation and processes. The advantage of working with the solar thermal system is basically that a volume of preheated water is given to the boiler system. Initial thermal variation of 20º to 165º C is reduced to a thermal variation of 90º to 165º C, this 70º C difference in temperature is equivalent to the saving (48% in average) provided by solar thermal system as complementary to industrial boiler system. Another example is the dairy plant in which a solar thermal system was also installed. In this case, energy efficiency measures were previously applied to reduce hot water consumed volume. Main one was industrial water guns withstand temperatures higher than 100 ° C implementation. A thermal solar system with heat pipe collectors was installed, which contributes to sanitization processes and boiler water consumption. In year highest radiation times, system can cover 97% of monthly boiler water consumed, and 82% on maximum consumption day. It can also provide up to 90% of total water consumed for production area sanitization. It can even provide hot water at 42º C for yoghurt preparation. Solar thermal energy potential in Honduras and in Latin America in general is currently not being exploited. An exhaustive project survey and analysis allow us to know, a priori, savings will be obtained, initial investment and the generally low maintenance costs. 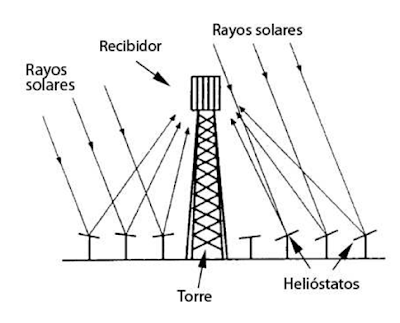 Devices that capture solar thermal energy range from collectors placed on the roofs to parabolic dishes or solar towers used in large systems that concentrate sunlight, produce heat and generate electricity. By solar light and PET plastic bottles. UV rays exposure eliminates pathogens and bacteria providing a source of clean water and reducing water diseases transmission. Using a solar cooker and water pasteurization indicators (WAPIs). Solar cooker heats the water and WAPI (small tubes / capsules with melting wax at 65 ° C, temperature with which viruses and bacteria die) indicates when it is suitable for consumption, saving fuel and reducing water diseases transmission. Box with glazed lid and opening + mesh frames. Foods are placed in mesh racks and dried as the sun warms the box. Reduce use of fossil fuels, pollution and post-harvest losses. Heat trap boxes, curved concentrators and cooker panel. A device (mirror or reflective metal) concentrates light and heat inside a small cooking area. Reduce reliance on traditional fuels such as wood or coal and reduce indoor pollution. Solar thermal collector + water storage tank. Collector heats the fluid passing through it and heat is stored in the tank. Reduces reliance on traditional fuels; reduces carbon emissions and local pollution. Constant earthquakes cause many people in Haiti to live outdoor and in very bad conditions. However, charcoal is life and scourge of Haitians. Without it, they don´t eat. 97% of the country is deforested. Each person consumes the equivalent of 500 kilograms of wood a year and an average family leaves half of their profits in firewood purchase. Erosion is the big problem. People cut trees to survive; there is no other way to living. This country needs a permanent solidarity commitment from international community. An example of this is solar cooker project for Mont-Organisé. Devices are based on solar concentration: they generate thermal energy from sunlight that passes through a lens. Energy is stored in a thermal “battery” that maintains heat for 20 hours, and therefore allows cooking at night. Materials chosen to make the kitchens are sustainable, biodegradable and the device obviously does not need fuel. Project is developed in collaboration with Italian Microcredit Agency, Federico II Naples University Agrarian Department, Tesla IA SRL and PACNE NGO. In addition to financing, solar energy expansion to poor people requires a mix of scientific improvements, policy initiatives and collective action to combat climate change and energy access lack. Within group of solar collectors without concentration are the vacuum tubes collectors. Currently they are the most used. As was seen in flat collector’s analysis, conversion of radiant energy from the sun to thermal energy leads to radiation, conduction and convection losses that progressively decrease the yield as temperature difference between collector and environment increases. Improvement provided by vacuum tube collectors is to avoid conduction and convection losses. If less heat is lost, we will in most cases obtain more yield for same amount of Sun energy. We will see that this is not always the case and depends on temperature of use. Vacuum collectors find their main application in intermediate temperature systems (heating, air conditioning, industrial processes, etc.) and in cold places with high differences between collector temperature and the environment. The vacuum technique used by fluorescent tubes manufacturers has been developed and is the one used by vacuum tube manifolds manufacturers. Vacuum tube collector systems are based on evacuated tubes. These are formed by two concentric tubes between which the air has been sucked up producing a vacuum. At one end, both tubes are joined by sealing the vacuum. Inside both tubes are located the different types of absorbers that determine the different systems. Single evacuated tubes are evacuated tubes, assembled directly with accumulation tank or independently, which may contain only water or water plus antifreeze. A dark colored layer of absorbent material is located on evacuated tube inner wall. When solar radiation strikes the absorbent material layer it is transformed into heat and raises the temperature of the fluid that is in contact with it. The fluid is heated by convection and begins to rise through the tube being replaced by cold fluid which in turn heats up and restarts the process. This type of vacuum tube offers the advantage of having the aforementioned few heat losses and the disadvantages of being very sensitive to pressure. U-Pipe vacuum manifolds are used both in individual collectors and in compact solar systems with integrated tank. Absorber can be placed on tube wall as in evacuated tube case or on an absorbent material sheet. In any case, absorber is run on its surface by a pipe (preferably copper) through which the fluid raises its temperature in contact with it flows. U-Pipe tube manifolds have the advantage of being able to adopt both horizontal and vertical position without impairing their performance since tube can rotate on its axis by tilting absorber in the most appropriate way in case the absorber has sheet shape. Finally, in vacuum tube technology we find heat pipe manifolds. They employ a mechanism consisting of a closed tube into which a vaporizing fluid (alcohol mixture) of specific properties is introduced. When sun hits absorber attached to the tube, fluid evaporates and absorbs heat (latent heat). As gas rises above liquid to top of the tube where the cold spot is located. There it liquefies (condenses) and yields its latent heat to the fluid we are interested in heating by falling back to tube bottom by capillarity or gravity. This process (evaporation – condensation) is repeated for sun’s radiation duration or until collector has reached a very high temperature (around 130 ° C or more). They have the advantage that each tube is independent being able to change in full system operation. It is highly frost resistant. Since tubes can also rotate on their axis, it is possible to adopt vertical and horizontal positions as in the case of U-Pipe systems, although in this case generally a minimum tube inclination (between 15º and 20º according to manufacturer) to allow fluid, once liquefied, to fall by gravity. – Dry union: heat exchange occurs without direct contact between heat transfer fluid and tube, which makes them very suitable in areas with unfavorable water qualities. – Diode function: heat transfer is always carried out only in one direction, from absorber to heat transfer fluid, and never other way round. – Temperature limitation: evaporation – condensation cycle takes place as long as vaporizing fluid critical temperature is not reached, thus avoiding uncontrolled temperature rise inside the tubes risks. Within the solar collectors without concentration we find the flat plate. They were the most used, but have lost ground in favor of vacuum tube. In flat collectors, the collector is located in a rectangular box (housing), whose usual dimensions are between 80 and 120 cm wide, 150 and 200 cm high, and 5 and 10 cm thick (although there are larger models). The face exposed to the sun is covered by a very fine glass, while the remaining five faces are opaque and are thermally insulated. Inside the box, on the face that is exposed to the sun, is placed a metal plate (absorber). This plate is attached or welded to a series of conduits through which a heat transfer agent (usually water, glycol, or a mixture of both) flows. A selective surface treatment is applied to mentioned plate or is simply black painted, to increase its heat absorption. Flat solar collectors work taking advantage of greenhouse effect (the same principle that can be experienced when entering a car parked in the sun in summer). After passing through the glass (transparent for wavelengths between 0.3 μm and 3 μm) radiation reaches absorber surface, which is heated and emits radiation with a wavelength between 4.5 μm 7.2 μm, for which the glass is opaque. Approximately half of this last radiation diffuses to the outside, being lost; but the other half returns inward and thus contributes to absorber surface further heating. As it passes through the box, the heat transfer fluid heats up and increases its temperature at absorber expense, which temperature will decrease. The heat transfer fluid then transports that heat energy to where it is desired. 1) Transparent cover: it must possess the necessary qualities (suitable transmission and thermal conductivity coefficients) to provoke the greenhouse effect and to losses reduce; ensuring manifold water and air sealing, in conjunction with housing and joints; do not keep outer surface dirt adhering so that rain easily slips. 2) Absorber: receives the solar radiation and converts it into heat that is transmitted to the heat transfer fluid. Shapes are diverse: metal plates separated by a few millimeters, a metal plate with welded or embedded tubes or two metal plates with a circuit inside. Face exposed to sun must capture the largest radiation amount so it is usually black painted or endowed with a selective surface (very absorbent to radiation and with low emissivity). Paints are cheaper than selective surfaces and have a better overall thermal behavior at near-ambient temperatures, but are marred by ultraviolet radiation continued action and temperature variations between day and night. Selective surfaces generally have a better behavior and are obtained by several layers superposition (metal and metal compounds) or special surface treatments. The most modern manufacturing technique is laser welding. 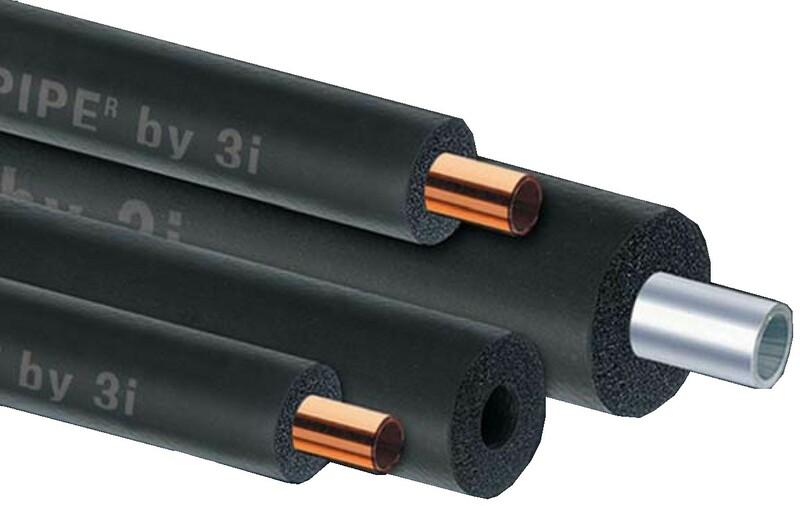 3) Insulation: it is used to reduce thermal losses in absorber rear part that must be of low thermal conductivity. Materials can be glass wool, rock wool, cork, polyethylene or polyurethane. 4) Housing: generally made of aluminum or stainless steel, it protects and supports manifold elements, also allowing manifold anchoring and holding to assembly structure. It must withstand temperature changes (dilatations) without tightness losing and must resist corrosion. Solar energy wherever you are with Sopelia. In Guatemala, talking about solar radiation use for electric and thermal energy generation in homes seems a myth. And in the case of thermal, even more. So far, according to Ministry of Energy and Mines (MEM) data, approximately two thirds of energy is produced with fossil fuels, which translates into high costs and environmental pollution. A good part of that electricity is used in order to heat water for human consumption, especially for the shower. During approximately 350 days a year there is sufficient solar radiation to meet 95% of hot water needs in Guatemala. As in many countries of Central America, thermal energy generation from solar radiation is an industry almost unknown and often confused with electric energy generation. The few households that have incorporated solar thermal energy experienced a minimum decrease of approximately 40% in their electric bill amount and will pay off the investment made in less than 3 years. Currently it is possible to find two types of solar heater systems technologies in the country: non-pressurized and pressurized. The first is generally used for residential use because it is of little pressure and simple installation, and the second one is more used in industry and services sectors. Experts and leaders from Latin America and the Caribbean gathered in Costa Rica to promote quality assurance mechanisms implementation in solar water heaters use, in order to increase technology confidence and stimulate its development in the region. Issues such as standards, testing, labeling and certification, as well as the use of quality infrastructure to support regional policies on the promotion of solar thermal energy were considered. 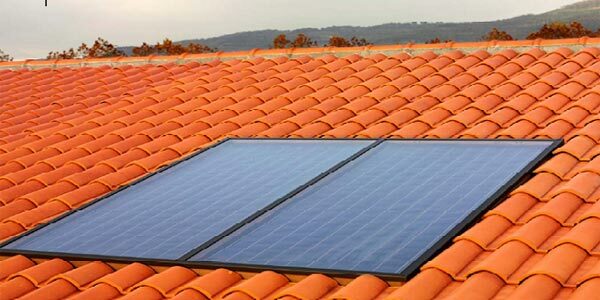 Solar heating technology has arrived at a maturity, technological and of price, that nowadays allows developing national strategies as well as regional to promote water heating with solar energy. Currently, less than 3% of solar thermal energy is used in Latin America and the Caribbean, so that better quality assurance mechanisms can lead to significant market growth. Solar thermal energy can also be used to dry grains, especially coffee. The drying system consists of solar collectors, recirculation pumps, water pipes, thermal insulation, storage tanks, precision fans and heat exchangers. 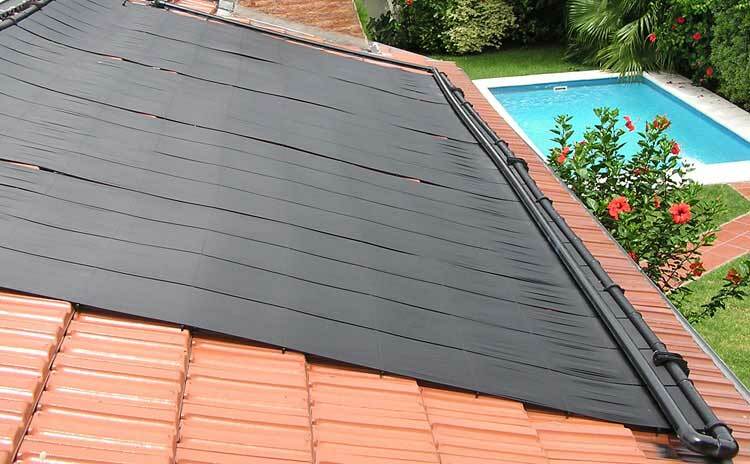 Solar collectors absorb solar energy, this is transmitted to the water that flows through the pipes. The hot liquid is stored in the central tank, from where it flows to the mechanized dryers. At this point, water-air heat exchangers dehydrate and heat the ambient air, drying the grains. In El Novillero village, Santa Lucía Utatlán, Sololá, there is the ecological park and protected area Corazón del Bosque, a project of the Artisanal Association for La Guadalupana Development. Linking community benefit with natural resources sustainable use were concerns that originated this project, which to date generate 13 permanent and more than 800 temporary jobs.